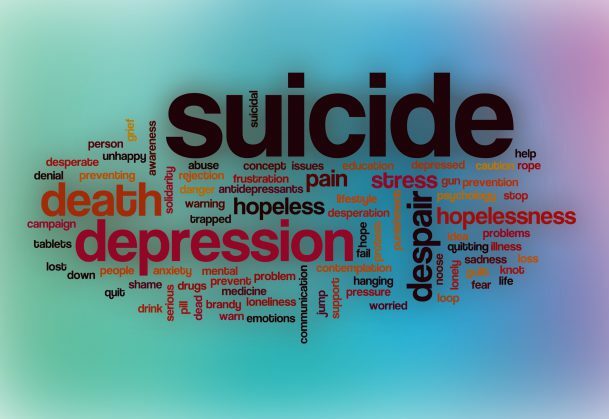 Following the suicide of a relative or close friend, surviving family members and friends are left with a number of painful questions: “What made them do it?,” “Why didn’t they get help?” The most troublesome question is often, “Is there anything I could have done to prevent this?” People who are contemplating suicide tend to conceal their behavior, or deny they are having suicidal thoughts, so it can be difficult to identify warning signs. Even experienced clinicians sometimes do not catch any warning signs and suicide experts have been searching for a clear behavioral marker of suicide risk. Psychological scientist Matthew Nock of Harvard University, along with colleagues from Harvard University and Massachusetts General Hospital, adapted the Implicit Association Test (IAT) to measure associations between life and death/ suicide and examined if it could be effective in predicting suicide risk. The IAT is a widely used test that measures automatic associations people hold about various topics — participants are shown pairs of words and how quickly they respond indicates if they unconsciously associate those words together. In the IAT version used in this study, participants classified words related to “life” (e.g., breathing) and “death” (e.g., dead) and “me” (e.g., mine) and “not me” (e.g., them). Faster responses to “death”/”me” stimuli than “life”/”me” stimuli would suggest a stronger association between death and self. People seeking treatment at a psychiatric emergency room participated in this study. They completed the IAT and various mental health assessments. In addition, their medical records were examined six months later to see if they had attempted suicide within that time. The results, reported in Psychological Science, a journal of the Association for Psychological Science, revealed that participants presenting to the emergency room after a suicide attempt had a stronger implicit association between death/ suicide and self than did participants presenting with other psychiatric emergencies. In addition, participants with strong associations between death/ suicide and self were significantly more likely to make a suicide attempt within the next six months than were those who had stronger associations between life and self. These results suggest that an implicit association between death/ suicide and self may be a behavioral marker for suicide attempt. These findings also indicate that measures of implicit cognition may be useful for identifying and predicting clinical behaviors that tend not be reported. Mahzarin Banaji, also of Harvard University and a co-author of this study, adds that this work presents a strong argument for the importance of funding basic behavioral research. “These results are an example of basic research helping to solve a troubling and devastating problem in every society. The method we used was designed to understand the mind, but it turned into a technique that can predict disorders of a variety of sorts. One wonders why funding agencies that should know better about the value of basic research seem so naïve when it comes to decisions about what is in the public’s interest,” Banaji explains. I found this information really interesting and I’m wondering if there is a way to implement this measure on a larger scale. My interests include working with Veterans and members of the military, specifically those suffering from PSTD. As you may know the VA reports that roughly 22 Veterans commit suicide each day throughout the US. Implementing a tool such as this at the VA could be very helpful in lowering that number.